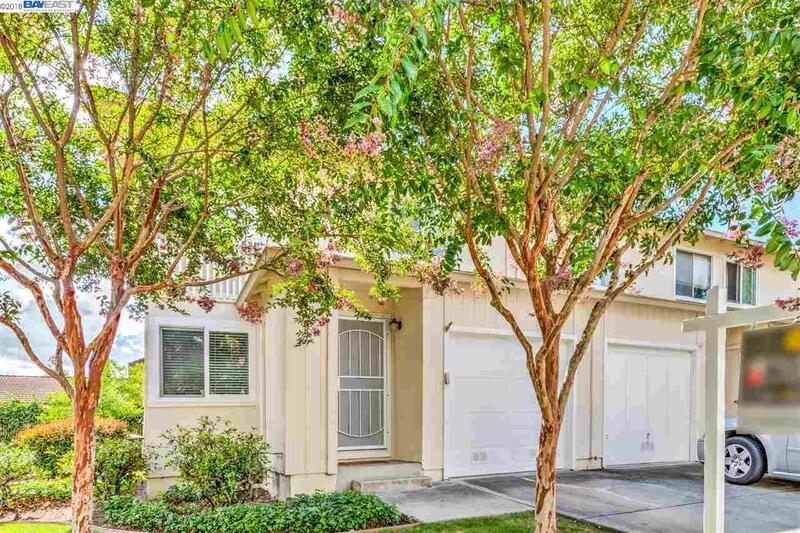 Turn-key Cozy resort like of Pleasanton Fairlands Park townhouse. This End-unit and North-facing home is filled with natural light. Attached one car garage added privacy and convenience. Newly painted interior give it a fresh new touch. Tastefully updated kitchen with stone counter tops, cabinets and pot filler. Patio door open to the cozy backyard and brings outside inside. You may entertain with the combination of the dinning room and outdoor area under the string lights. Each room has switched light fixture. Master bedroom has two closets for storage, two other guest bedrooms are nice sized. Newer floorings throughout the house. Easy access to shops, restaurants, stores and freeway.